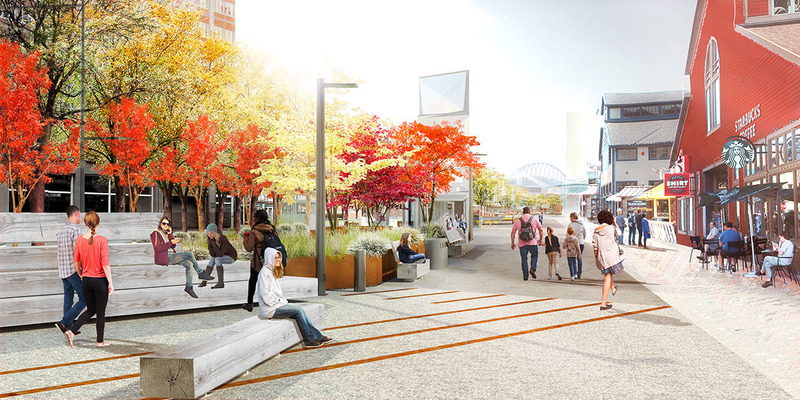 Extending 26-blocks, these spaces will be a commons for a range of cultural, recreational, and educational activities. 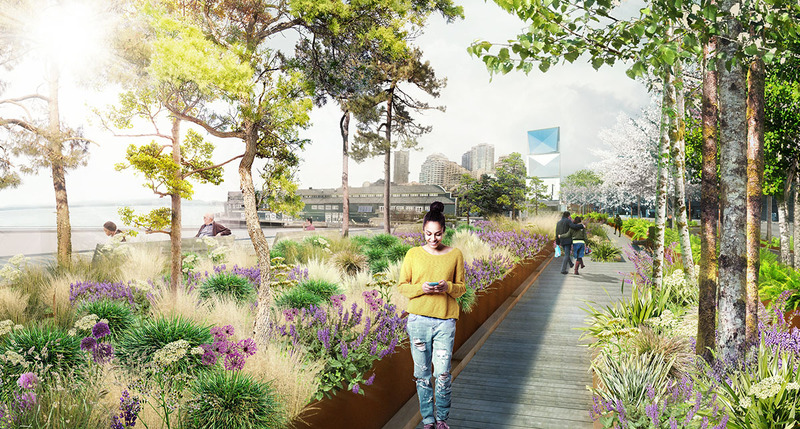 With gardens that bio-filtrate stormwater, and working in conjunction with the new salmon-friendly seawall, the project promotes a sustainable, bio-diverse nearshore ecology. 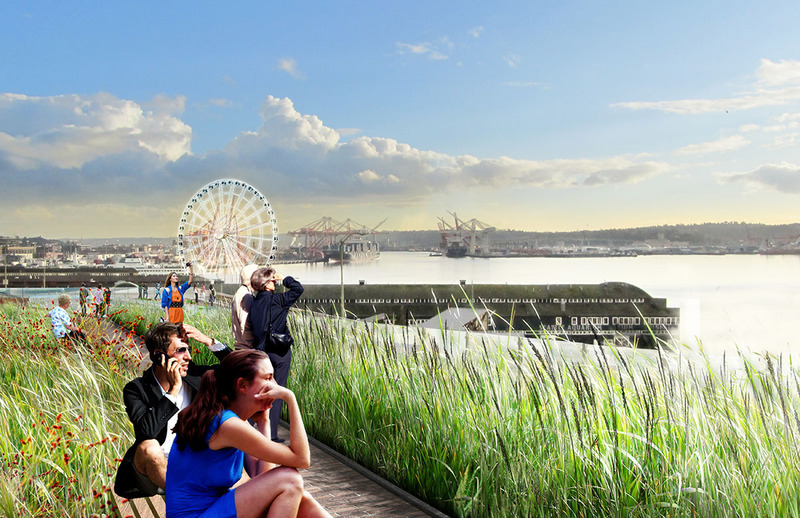 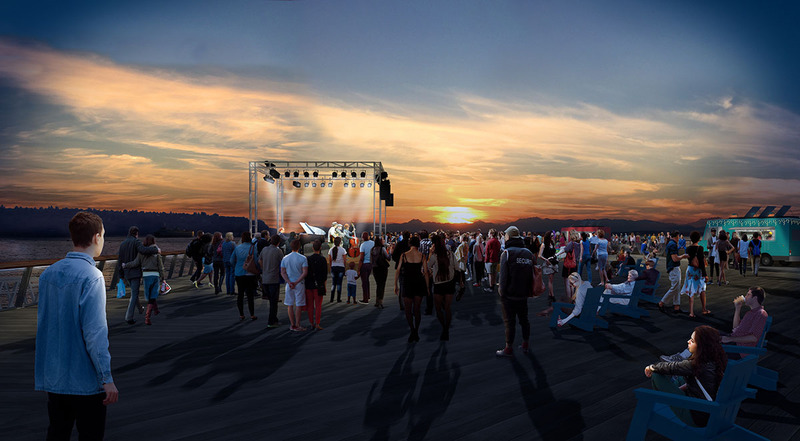 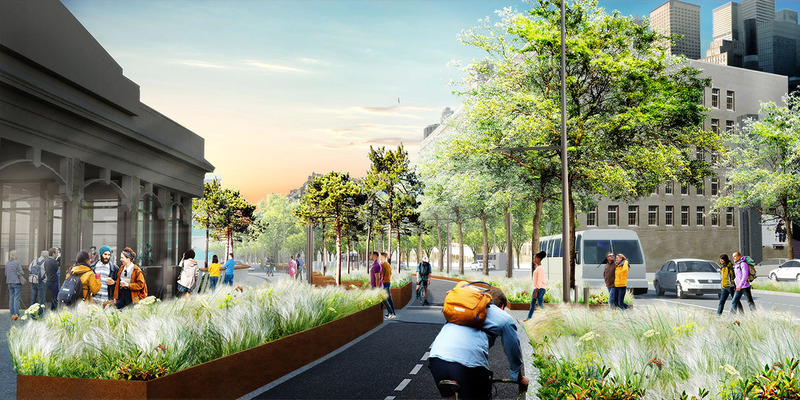 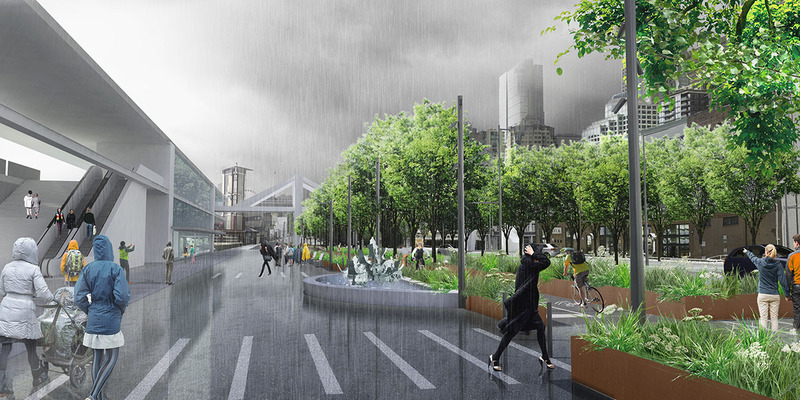 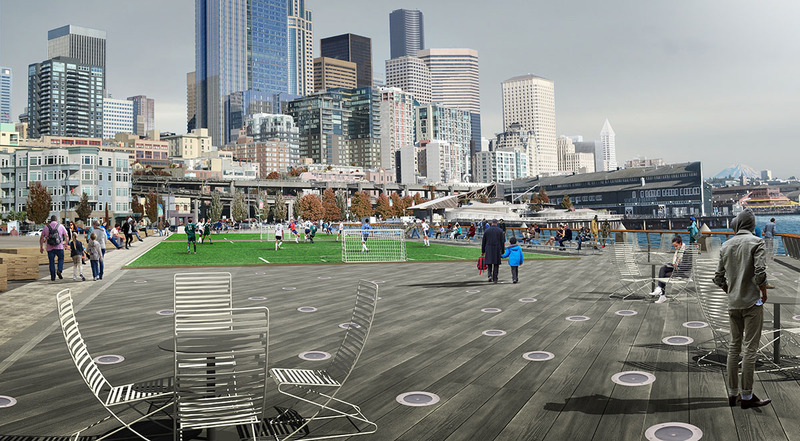 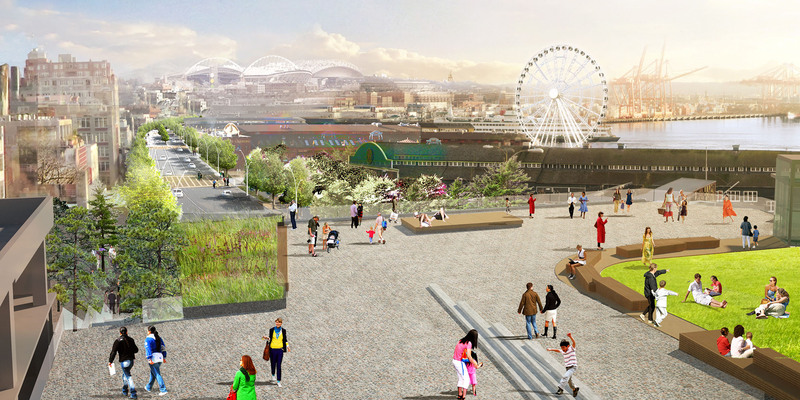 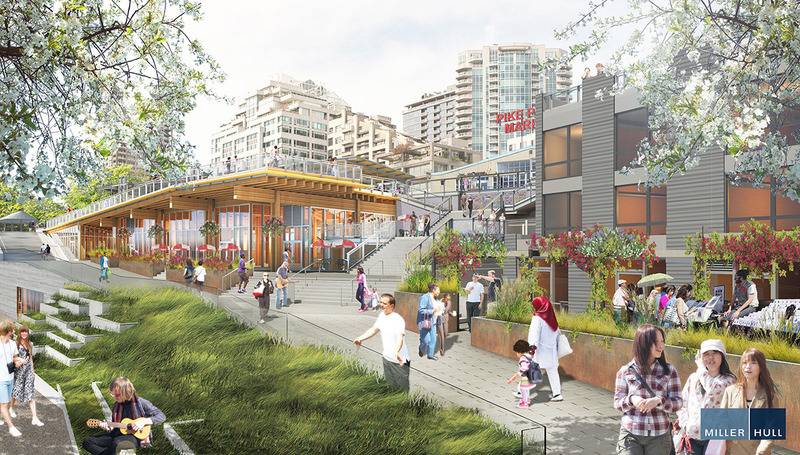 Reachable by bike, ferry, transit, automobile and foot, Seattle’s future waterfront will be one of the most accessible places in the city—physically and psychically reconnecting people to the scenic working waterfront and surrounding mountains. 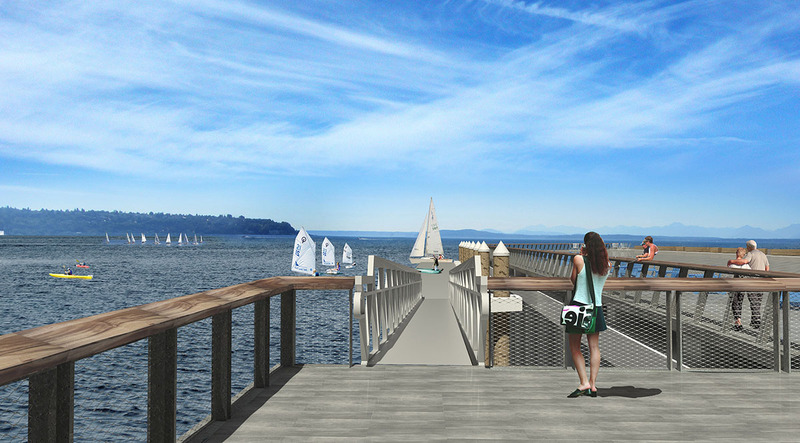 Waterfront Seattle is a public benefit partnership between Friends of Waterfront Seattle and the City of Seattle.